When you ask most real estate brokers on the North Shore about the quality of the local schools, they’ll pass along some statistics about graduation rates, class sizes, or college acceptance levels. When you ask Kelly Dunn Rynes of Berkshire Hathaway HomeServices KoenigRubloff Realty Group, she’ll answer based on first-hand experience. After graduating college with a degree in economics, Rynes took a marketing position with the Chicago Blackhawks and intended to pursue a career in sports marketing. That was until her aunt called. Rynes’ aunt is one of the top-producing real estate agents in the country, and Rynes was wooed by the opportunity to put her economics degree to use and to be able to learn from one of the best in the business. After a decade of working with her aunt, Rynes blazed her own path, first joining a top North Shore team specializing in luxury listings and then finally making a name for herself with Berkshire Hathaway. “Backed with 15 years experience, I was confident in my own personal brand, ChicagoToTheNorthShore.com, and wanted to keep doing what I do best, helping people during transition,” Rynes says. Her economics background comes in handy, giving her an advantage during transaction negotiations. It contributes to what Rynes calls “bringing a unique pairing of macro and micro insights to the table.” She can present to clients the larger economic picture of supply vs. demand in the area or, because of her roots in the community, provide a hyper-local viewpoint. 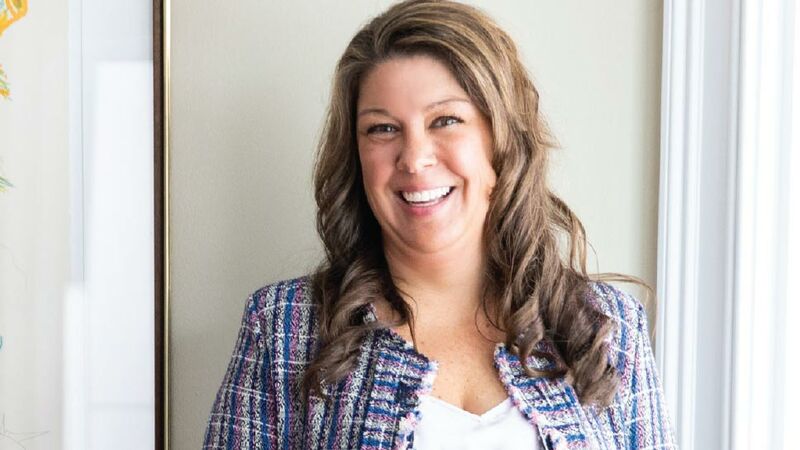 Rynes and her husband, also a Lake Forest native working in real estate, are active in the community, serving on charitable boards and attending many community events and activities that keep them connected. Rynes emphasizes the importance of understanding economic market shifts and how technology has already changed the game. What she enjoys the most, though, is working with people and building relationships. For more informaiton, contact Kelly Dunn Rynes at 847-987-6296, [email protected], chicagotothenorthshore.com.